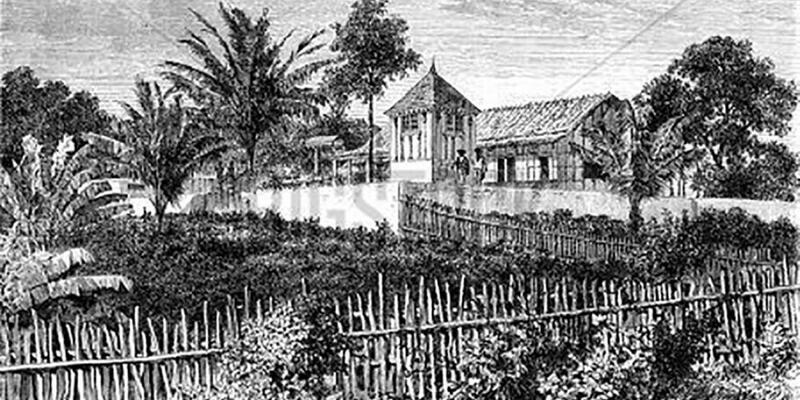 A former French colony, Gabon retains strong ties to the French language and culture. In size, the country of Gabon is slightly smaller than the state of Colorado in the United States of America. Meet pioneer missionary Max Pierre. Born and raised in Haiti, he helped grow the young Adventist church in Gabon. Max’s parents were missionaries, and as a teenager, Max dreamed that one day he would spread the gospel in a faraway land. Max married Eliane Joseph, and the young couple moved to Berrien Springs, Michigan, in the United States. They attended Andrews University, where Max earned a degree in religion and Eliane focused on diet and nutrition. After they graduated, Max earned a master’s degree and was ordained to the gospel ministry. Elder Pierre and his family left New York on October 5, 1991, to move to Gabon, where he would serve as president of the Gabon Mission. Under his leadership, church membership soared from 205 in 1990 to 1,500 in 1995. It was during this time that something very unusual happened. Just outside the nation’s capital city of Libreville, a political leader of a local township organized a Christian church, an unusual move in a land where most political figures weren’t Christian. The congregation grew so rapidly, the members had to tear down their small church and replace it with a larger building. During the construction, the congregation began studying the Bible earnestly to see exactly what it taught. They learned of the seventh-day Sabbath and wondered whether anyone in Gabon observed it. They soon learned about the Seventh-day Adventist congregation in Libreville and sent some church members to investigate it. This led to an invitation for Elder Pierre to present the Advent message at the nondenominational church. When the church members were convinced that Adventists base all their beliefs on the Bible alone, almost all the members were baptized and the new building became a Seventh-day Adventist Church. Elder Pierre helped to establish many Adventist churches throughout Gabon. Each of these churches had about 40 members in the beginning, but they were built to seat between 400 and 500 people. Within a couple of years, the churches would be filled to overflowing, and the members would begin to plant new churches in the surrounding area. In this way, thousands of people joined the Adventist Church family. The church in Gabon continues to grow, but it faces several challenges, including the fact that it has only one secondary school. It’s not a boarding school, so most of the Adventist children in Gabon must attend non-Adventist schools. Experience has shown that many students who attend public schools in this country eventually leave the church. The Thirteenth Sabbath Offerings this quarter will help build a new secondary school in Gabon. This will help hundreds of children get an Adventist education and build a strong church in Gabon for the future. Please support this project generously. Thank you!